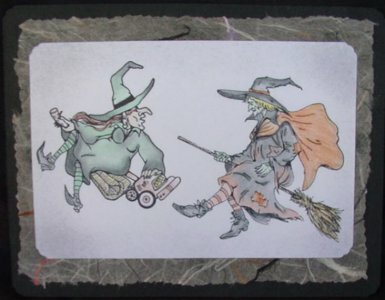 Stamp witches with Memories, or permanent black ink, on light colored card stock. Color with colored pencils. Stipple black ink on corners. Attach to mix-colored mulberry paper and layer all to black card.